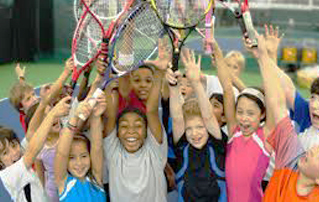 TENNIS FOR KIDS & TEENS,We teach kids the skills to learn and play tennis for a lifetime through providing engaging sessions which aim to develop confidence, coordination and game sense. 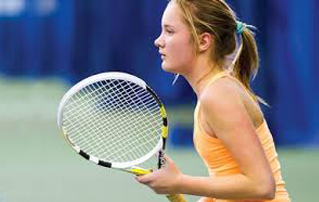 Our programs follow Tennis Long Term Athlete Development Program designed to build the foundation for tennis enthusiasts of all ages. Additionally we offer kids summer camps. All of our programs are held at Arrowhead tennis club court. Designed for complete beginners or those looking to brush back up on the fundamentals of the game. The Beginner/Intermediate Clinic discusses everything from how to hold the racket (grips), to stroke fundamentals, to court positioning and shot selection. The clinic was developed to create a laid back no pressure environment where new players can learn the game at their own pace. Most of our players use it as a training program to get started with arrowhead teams and point plays. Regardless of your future goals the Beginner/Intermediate Clinic offers a great introduction to the game of tennis. Arrowhead Tennis Club is a great setting for parties and events of all kinds. 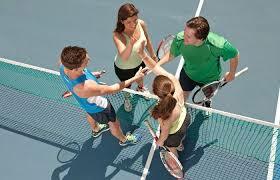 Of course, we specialize in tennis parties, but we also offer custom event setup for more formal gatherings. During the summer, our huge playing field is the perfect place for kids to celebrate birthdays or other special occasions. We can even set up a water slide or other inflatables and provide an ice cream truck. In other words, whatever you dream up, we'll make it happen. During the winter, you can take the party inside, as our indoor courts can transform into anything from a giant play area to an elegant reception space. aspire to play professionally, Led by our world-class coaching staff, Arrowhead tennis camps combine physical and mental conditioning, technical and tactical training and match-play coaching. Training is arranged to reach a collective peaking in technical, tactical, physical, mental and nutritional components. Specific work/rest plans are established to keep players fresh. Players between the ages of 8 to 18 at an intermediate level (players that know how to play a match) to an advanced level are welcome to train with us for the summer. This is awesome club and i like everything in it. Eveyone needs a coach. It doesn't matter whether you are a Tennis player, a basketball player.....! You always want to win.That is why you play tennis,because you love the sport and try to be the best you can at it..
Join the Leagues and choose the day when you want to play.